"Europe's leading food history group"
As of the 1970s, the Department of History of Vrije Universiteit Brussel (VUB) plays an important role in this research field, in Belgium and on an international level. In recent years, colleagues from other departments have shown vivid interest in food studies, and today this expertise is present in various departments of the university. This attention and qualification led to the submitting of several research proposals dealing with food studies. These researchers wanted to institutionalize the expertise by setting up a new research group at Vrije Universiteit Brussel. Therefore, in April 2003, FOST (Social & Cultural Food Studies) was founded. FOST works in collaboration with the Flemish Interface Centre for Cultural Heritage (FARO) , the Institut Européen de l'Histoire de l'Alimentation and the Institut National de Recherche Agronomique. As of the academic year 2014-2015, students who are enrolled in the Master of Arts in History at the Vrije Universiteit Brussel, can specialize in the 'Food History master'. Next to the compulsory courses, it will be possible to choose 30 ECTS within the field of food history in a collaboration between the VUB, university of Exeter, University of Leiden and the Unversité Rabelais in Tours. The Food History Master provides students the opportunity to gain international experience and to take courses in English. The Master's thesis can also be situated within this field of research. In 2018-2019, the programme offers the following courses: Food and Society in Classical Antiquity (P. Erdkamp), Consumption History 1500-1800 (W. Ryckbosch), Themes in Cultural History (J. Tyssens) and Living and Surviving: Economics, Ecology and Demography from Antiquite to the present (University of Gent). For more information take a look at the brochure or at VUB's official programme. Cereals and pulses have been important staples in human diets since the Neolithic Revolution. Despite recognition for their role as energy suppliers, the nutritional appraisal by archaeologists and historians of especially cereals has been far from positive. Instead, cereals have been held responsible for the alleged poor nutritional status of the Romans. This study aims to obtain direct data on the nutritional qualities of ancient cereals to estimate nutritional values of ancient Egyptian cereals and pulses. To this end we use perfectly preserved, desiccated archaeological seeds from sealed granaries from the village of Karanis in Roman Egypt, presently at the Kelsey Museum, Ann Arbor. Stable carbon and nitrogen isotope analysis will be performed on the carbonised seeds from Karanis in order to gain insights in agricultural practices and the ultimate economic decline of the site. This innovative study may revolutionize our perspective on Roman diet and nutrition (P. Erdkamp, F. Heinrich, M. Elskens, L.Motta). Interdisciplinary research programme with Frédéric Leroy, Wouter Ryckbosch, Malaika Brengman, Peter Scholliers, Paul Erdkamp en Luc De Vuyst. 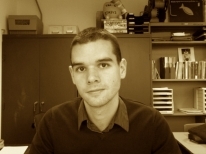 Rob Blijleven studies the history of wine commerce to and consumption in the Netherlands (Holland) from the mid-18th to the late 20th century. Gaëlle Vaningelgem studies the relationship between food(ways) and the development of the railroad system in Belgium, and particularly in Brussels, in the 19th and 20th centuries. The full list of publications of FOST-members is to be found here. Geyzen, A., Ryckbosch W., Scholliers, P., Teughels, N. & Leroy F., 'Food Innovations and Tradition, Interplay and Dynamics', in: Galanakis, C. (ed), Innovations in Traditional Foods, Science Direct, 2019, 27-51. Van den Eeckhout, P., "Dricks i västeuropeiska restauranger och kaféer före första världskriget", in: ArbetarHistoria, 167-168 (2018), 30-35. Scholliers, P. 'De waarde van een boterham', Vlaamse Molens 13: 1, 31-34. Scholliers, P., "Little Adults. Children's Diets in Brussels in the 1830s and 1850s", in Jensen, Nyvant, Scholliers & Atkins (eds), Food and Age in Europe, 1800-2000, London & New York (Routledge), 2019, 59-71. Erdkamp, P. & Holleran, C. (eds) (2018). The Routledge Handbook of Diet and Nutrition in the Roman World, London - New York: Routledge. Petracci, M., Soglia, F. & Leroy, F., "Rabbit meat in need of a hat-trick: from tradition to innovation (and back)", Meat Science, July 2018, 93-100. Scholliers, P. (2018), "Les dépenses au café dans le budget des ouvriers aux alentours de 1850", Estaminets et cafés: histoires bruxelloises, Bruxelles: Bruxellesfabriques, 47-51. Van den Eeckhout, P. (2017), "The Parisian Cooks’ Union and Chefs de Cuisine (1880s-1930s): Arch-enemies or Allies? ", Food & History, 15: 1-2, 229-254. 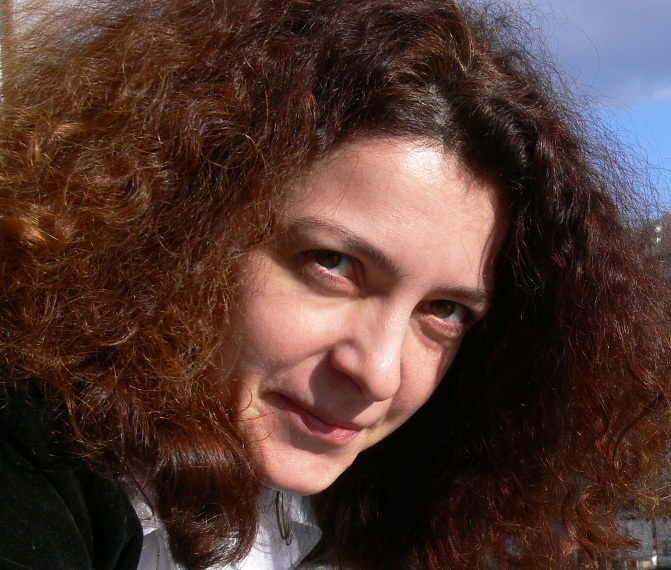 Shkodrova, A. "From duty to pleasure in the cookbooks of communist Bulgaria" , (2018), Food, Culture & Society, 21, #4, 468-487. Leroy, F., Brengman, M., Ryckbosch, W. & Scholliers P. (2018), "Meat in the post-truth era. Mass-media discourses on health and disease in the attention economy", Appetite, 125, 345-355. Shkodrova, A. (2018), "Revisiting Coca-Cola's "accidental" entry into Communist Europe", Gastronomica; 18:2, 59-72. Scholliers, P. (2018), "The popularization of a new nutritional concept: the calorie in Belgium, 1914-1918", in: Proteins, pathologies and politics. Dietary innovations and disease from the 19th century (eds. D. Gentilcore & M. Smith), London - New York: Bloomsbury, 111-124. Scholliers, P. (2018), "Entre public et privé: imaginer la sécurité alimentaire à Bruxelles au début du XIXe siècle", in: Approvisioner la ville. Flux alimentaires et circulations urbaines du Moyen Age au XIXe siècle (éds. Knaepen, A., Loir, C. & Wilkin, A). Brussels: Editions de l'Université de Bruxelles, 155-166. Maes, E., Vanhouche, A-S., Scholliers, P. & Beyens, K. (2017) “A vehicle of punishment? Prison diets in Belgium circa 1900”, Food, Culture and Society. 20, 1, 2017, p. 77-100. Erdkamp, P. (2017), "The role of modern malnutrition in modelling Roman malnutrition: Aid or anachronism?" (with F. Heinrich), Journal of Archaeological Sciences: Reports. Scholliers, P. (2017) “Le régime alimentaire des enfants entre 1830 et 1860 à Saint-Jean et Saint-Pierre”, ., Les Cahiers de la Fonderie. 52, 2017, p. 48-54. Scholliers, P. (2017) “Norms and practices of children's diets in Brussels hospitals, 1830-1914”, Journal of the History of Childhood and Youth. 10, p. 339-361. Daniels, S. & Glorieux, I. (2017) “Cooking up Manliness: A Practice-Based Approach to Men’s At-Home Cooking and Attitudes Using Time-Use Diary Data, in: Food, Masculinities and Home. Interdisciplinary Perspectives. Szabo, M. & Koch, S. L. (eds.). London: Bloomsbury , p. 31-58. Verriet, J. & Leroy, F. (2017) “Yogurt's Flexible Image during its Rise in Popularity in Post-War Belgium”, Appetite. 108, p. 132-140. Vandevoorde, H. (2017), "De functie van cafés voor de schrijvers van de Nieuwe Gids en Van Nu en Straks". In: Allen zijn welkom. Ontmoetingsplaatsen in de Lage Landen rond 1900, Uitgeverij Verloren, 283-300. Beyers, L. & Scholliers, P. (2016) “Aan tafel. Eten maakt de stad”, In Antwerpen à la carte: Eten en de stad van de Middeleeuwen tot vandaag. Beyers, L. & Van Damme, I. (eds.). Kontich & Antwerp: BAI, p. 128-165. Scholliers, P. (2016) “Kinderen en hun voeding in Brusselse ziekenhuizen in de 19e eeuw”, Tijd-Schrift. Heemkunde en lokaal-erfgoedpraktijk in Vlaanderen, 3, p. 64-79. Teughels, N. & Van Damme (2016) “Boodschappen doen”. In: Antwerpen à la carte. Eten in de stad, van de middeleeuwen tot vandaag. Beyers, L. & Van Damme, I. (eds.). Antwerpen: BAI, , p. 60-97 . Verriet, J. (2016) “The Domestication Of Innovation: The Image Of Canned Foods In The Netherlands, 1945-1985”, in: Exploring the Materiality of Food “Stuffs”: Archaeological and Anthropological Perspectives. Steel, L. & Zinn, K. (eds.). London: Routledge, p. 39-56. Scholliers, P. (2015), 'Convenience foods. What, why, and when', Appetite, 94, 2-6. Full text. Verriet, J. (2015), 'Convenience and the hierarchy of meal preparation. Cooking and domestic education in the Netherlands, 1910-1930', Appetite, 94,7-12. Full text. Teughels, N. (2015), 'Bringing comfort and convenience to the colonial table: Delhaize Frères & Cie's colonial department in the 1920s and 1930s', Appetite, 94, 13-20. Full text. Geyzen, A. (2015), 'The ideology of convenience. Canned foods in women's magazines (Flanders, 1945-1960)', Appetite, 94, 21-25. Full text. Degreef, F. (2015), 'Convenience foods, as portrayed by a consumer organisation. Test-Aankoop/Test-Achats (1960-1995)', Appetite, 94, 26-33. Full text. Jacobs, M. (2015), 'Chips in black boxes? Convenience life span, parafood, brandwidth, families, and co-creation', Appetite, 94, 34-39. Full text. Leroy, F. & Degreef, F. (2015), 'Convenient meat and meat products. Societal and technological issues', Appetite, 94, 40-46. Full text. Vanhouche, A.-S. (2015), 'Acceptance or refusal of convenience food in present-day prison',Appetite, 94, 47-53. Full text. Daniels, S. & Glorieux, I. (2015), 'Convenience, food and family lives. A socio-typological study of household food expenditures in 21st-century Belgium', Appetite, 94, 54-61. Full text. De Maret, O. & Geyzen, A. (2015), 'Tastes of Homes: Exploring Food and Place in Twentieth-Century Europe', Food & Foodways, 23 (1-2), 1-13. Full text. Scheire, W. (2015), '"Bring Joy to Your Home with the Real Frigidaire": Advertising the Refrigerator to Belgian Female Consumers, 1955-1965', Food & Foodways, 23 (1-2), 57-79. Full text. Book edited by Nelleke Teughels and Peter Scholliers: Teughels, N. & Scholliers, P. (2015) (eds. ), A taste of Progress: Food at International and World Exhibitions in the Nineteenth and Twentieth Centuries. Aldershot, Ashgate. Click here for more information. Teughels, N. (2015). 'Introduction,' Teughels, N. & Scholliers, P. (eds. ), A taste of Progress: Food at International and World Exhibitions in the Nineteenth and Twentieth Centuries. Aldershot, Ashgate, 1-10. Teughels, N. (2015). 'Food at the 1910 Brussels Exhibition: Spaces of Consumption and the Articulation of National Identity,' Teughels, N. & Scholliers, P. (eds. ), A taste of Progress: Food at International and World Exhibitions in the Nineteenth and Twentieth Centuries. Aldershot, Ashgate, 165-182. Van den Eeckhout, P.(2015). 'Foreign Hospitality Workers at the 1910 Brussels World and International Exhibition,' Teughels, N. & Scholliers, P. (eds. ), A taste of Progress: Food at International and World Exhibitions in the Nineteenth and Twentieth Centuries. Aldershot, Ashgate, 257-274. Parys, N. (2015). 'Culinaire beeldvorming in negentiende-eeuwse Nederlandse kookboeken. ',Groniek, 202, 19-39. Erdkamp, P. (2015), "Supplying the cities", in: A Companion to Food in the Ancient World (J. Wilkins & R. Nadeau eds), Oxford (Wiley - Blackwell), 183-194. Jacobs, M. (2015). 'Beter hier dan verder. Liminaliteit, "traditionele koffietafels" en vaten bier in Vlaanderen,' Ingels, T. (ed. ), R.I.P. Aspecten van 200 jaar begrafeniscultuur in Vlaanderen. Gent, Gent Academia Press, 141-168. Daniels, S. (2015). 'Cooking up manliness: A practice-based approach of men's at-home cooking and attitudes using time-use diary data', Szabo, M. and Koch, S. (eds.) Food, masculinities and home. London, Bloomsbury. Scholliers, P. (2015), 'Belgium', Goldstein, D. (ed.) The Oxford Companion to Sugar and Sweets, Oxford, New York, Oxford University Press, 53-55. Scholliers, P. (2015), 'Godiva', Goldstein, D. (ed.) The Oxford Companion to Sugar and Sweets, Oxford, New York, Oxford University Press, 306. Erdkamp, P. (2015), 'Supplying the cities', Wilkins, J. (ed.) A companion to food in the ancient world. Oxford, Wiley-Blackwell. Verriet, J. (2015), ''Een ongevaarlijk avontuur': de beeldvorming omtrent buitenlandse eetculturen in Nederland, 1950-1970', Volkskunde, 116.2, 177-192. Van Den Eeckhout, P. (2015), 'A Bruxelles on licencie d'abord les Belges. La crise et le secteur des hôtels, restaurants et cafés', Les Cahiers de la Fonderie, 50, 89-94. Degreef, F. (2015), "Making sense of new food technologies and trust in food (1960-1995)", in Tasting Cultures (Pires M.J., ed), Oxford: Inter-Disciplinary Press, 53-70. Van den Eeckhout, P. (2015), 'Waiters, Waitresses and Their Tips in Western Europe before World War I', International Review of Social History, 60, 3 (2015), 349-378. Scholliers, P. (2015), 'Pouvoir d'achat et alimentation des salariés pendant la crise des années 1930', Les Cahiers de la Fonderie, 50, 56-62. Geyzen, A. (2014), 'Doctoraatsonderzoek. Culinaire vererfgoeding in Vlaanderen tussen 1945 en 2000. Een historisch-gastrolinguïstische analyse', Journal of Belgian History, 44, 241-244. Teughels, N. (2014), 'Mag het iets meer zijn? Kleine kruidenierswinkels worden big businees, Delhaize Freres & Cie (1867-1940)', Leuven University Press, Leuven. Click here for more information or to purchase a copy. Schollier, P. (2014), 'Constructing New Expertise: Private and Public Initiatives for Safe Food (Brussels in the First Half of the Nineteenth Century)', Medical History, 58, 4, pp.546-563. Scholliers, P. (2014), 'Global Food Developments', Freedman, P.; Chaplin, J. & Albala, K. (eds. ),Food in Time and Place. The American Association Companion to Food History, pp.340-363. Scholliers, P. (2014), 'Belçika'da biftek ve patates kizartmasi: (tarihsel) bir sapmaya deger',Yemek ve Kültür, issue Summer 2014, pp.52 - 60. Arijs, K. (2014), ''Die aan't verleden raakt kan altijd tooveren'. Twee standbeelden voor Hendrik van Veldeke: lokaal iniatief en Limburgse identiteit', Jaarboek van het Sociaal-Historisch Centrum voor Limburg, LIX, 81-103. Januarius, J. (2014), 'In de voorhoede van de consumptiemaatschappij? Koopkracht en consumptie van Belgisch-Limburgse mijnwerkers in de jaren 1950 en 1960', Jaarboek van het Sociaal-Historisch Centrum voor Limburg, 105-123. Leroy, P., Scholliers, P. & Amilien, V. (2014), 'Elements of Innovation and Tradition in Meat Fermentation: Conflicts and Synergies', International Journal of Food Microbiology, issue 2014. Leroy, F.; Geyzen, A.; Janssens, M.; De Vuyst, L.; Scholliers, P. (2013) 'Meat fermentation at the crossroads of innovation and tradition: A historical outlook', Trends in Food Science & Technology.Click here to read the article. Scholliers, P. (2013), 'Food Recommendations in Domestic Education, Belgium 1890-1940',Paedagogica Historica. Click here to read the article. Scholliers, P. & Van den Eeckhout, P. (2013) 'Feeding growing cities in the 19th and 20th centuries: problems, innovations, and reputations, in: A.Murcott, W Belasco & P. Jackson (eds),The handbook of food research (Londen & New York:Bloomsbury), p.68-81. Van den Eeckhout, P. (2013) 'Allen daarheen! Koks en kelners op de Wereldtentoonstelling van 1913 in Gent', Brood & Rozen, 1, 29-51. Erdkamp, P. (2013), 'The food supply of the Capital'. Erdkamp, P. (ed.) The Cambridge Companion to Ancient Rome, Cambridge, Cambridge University Press, pp.262-277. Daniels, S. & Minnen, J. (2012) 'Meer dan honger stillen? Over de betekenissen van huishoudelijk koken', in: Mark Elchardus & Ignace Glorieux (Eds. ), Voorspelbaar Uniek. Dieper graven in de symbolische samenleving, 166-191. De Vooght, D. (2012). The king invites. Performing power at a courtly table. Brussel: Peter Lang. More information here. De Vooght, D. (Ed.) (2012). Royal Taste. Food, Power and Status at the European Courts after 1789. Farnham: Ashgate. More information here. Geyzen,A., Scholliers, P & Leroy,F. (2012) 'Innovative traditions in swiftly transforming foodscapes: an exploratory essay', Trends in Food Science & Technology (doi: 10.1016/j.tifs.2011.12.003) 1-6. Januarius, J. (2012) 'Industrial representations of Belgian Limburg miners in the 1950s: photographing corporate culture, labour, and everyday life', Depth of Field ,2. Click here to read the article. Scholliers,P. (2012) 'Eating out', in: Martin Bruegel (ed. ), A cultural history of food in the age of empire, 107-122. Kyri W. Claflin & Peter Scholliers (eds.) (2012), Writing food history. A global perspective. Clickhere for more information. Parasecoli, F. & Scholliers, P. (eds.) (2012). A Cultural History of Food. Scholliers, P. (2012). Deux siècles de peurs et plaisirs de la table. 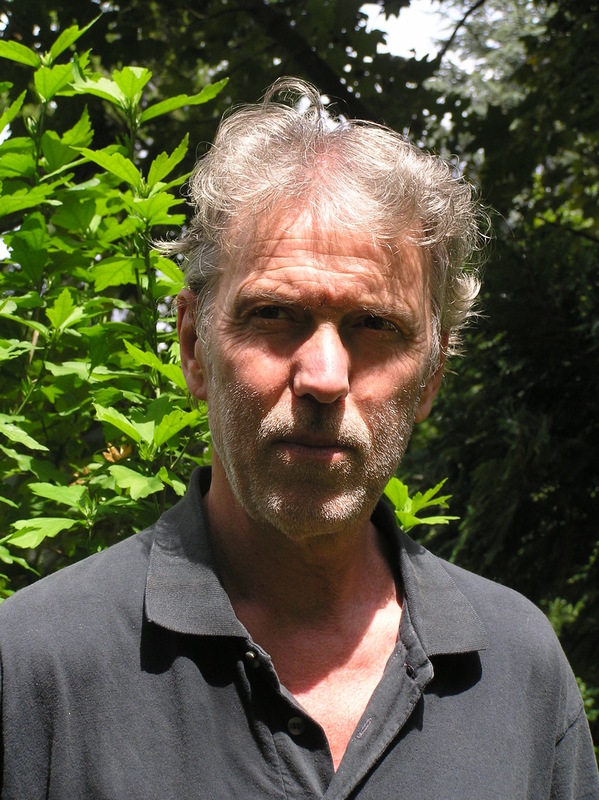 Erdkamp, P. (2012) (ed.). A cultural history of food. Volume 1. Antiquity. Oxford, Berg. Erdkamp, P. (2012), 'Food security, safety and crises', Erdkamp, P. (2012) (ed.). A cultural history of food. Volume 1. Antiquity. Oxford, Berg, pp. 57-74. De Vooght, D. (2011). 'De koning der Belgen nodigt uit. Machtsnetwerken rondom een koninklijke eettafel (1831-1909)', Museum Dynasticum , XXIII/1, 27-33. De Vooght, D., 'Noble dining guests at the Belgian royal court of the nineteenth century', in: Janssens, P. (ed. ), Vivre noblement. Les styles de vie de la noblesse belge, XVe-XXIe siècle. De veranderende levensstijl van de Belgische adel, 15de-21ste eeuw. The changing lifestyle of the Belgian nobility, 15th-21st century (special issue Belgisch Tijdschrift voor Filologie en Geschiedenis88 (2010)), 479-496. De Vooght, D., 'Cooking Networks', in: Barnett, G.A. (ed. ), Encyclopedia of Social Networks(Davis: SAGE Publications, 2011). Geyzen, A. (2011). 'Popular discourse on nutrition, health and indulgence in Flanders, 1945-1960',Appetite, DOI 10.1016/j.appet.2011.01.004. Teughels, N. (2010). Le produit dans la vitrine: devantures et dioramas en Belgique, 1870-1940. In: Bruegel, M., Nicoud, M. & Barloesius, E. (Eds), Le choix des aliments. Information et pratiques alimentaires de la fin du Moyen Age à nos jours. Tours: Presses Universitaires François Rabelais/Presses Universitaires de Rennes, pp. 49-76. Antonella Campanini, Peter Scholliers & Jean-Pierre Williot (eds.) (2011) Manger en Europe. Patrimoines, échanges, identités (Brussel: Peter Lang, 2011). Scholliers, P. & Van den Berghe, S. (2011). 'Esquisse sur l'identité d'une ville: Bruxelles et sa cuisine aux XIXe et XXe siècles', in: Campanini, A., Scholliers, P. & Williot, J.-P. (Eds). Manger en Europe. Patrimoines, échanges, identités. Bruxelles: P.I.E. Peter Lang, pp. 183-208. Scholliers, P. & Van den Eeckhout, P. (2011). The Laboratory, the Public, and the Construction of Food Safety in Brussels (1840s-1910s), in: Journal of Social History, Summer 2011, pp. 1143-1159. Van den Eeckhout, P. & Scholliers, P. (2011). 'The Belgian Multiple Food Retailer Delhaize Le Lion and its clientele, 1867 - 1914', Essays in Economic and Business History, 29, 87-100. Erdkamp, P. (2011), 'Manpower and food supply during the First and Second Punic Wars' Dexter Hoyos (ed. ), A companion to the Punic Wars, Malden/Oxford, Wiley-Blackwell, pp.58-76. Erdkamp, P. (2011), 'Jews and Christians at the dinner table. A study in social and religious interaction' Food and History, 8, pp.71-107. Climate and society in Ancient worlds. Diversity in collapse and resilience: call for papers (Brussels, 22-24 May 2019). Contact prof. P. Erdkamp. Colloquium LOPPEM 1918. De koning, de Grote Oorlog en het sociale contract (Loppen, 27 oktober 2018), met lezing van P. Scholliers "52 ellendige maanden en hun nasleep: honger en (wan)beleid in België". Food - a history of European encounters and exchanges. 8 May 2018 (18:00-21:30), a talk at the House of European History. Food is probably one of the most diverse European heritages among those that result from encounters through the ages. Today we live in a globalised world of eating cultures and products. However, from ancient times onwards, exchanges have shaped what we eat and how we eat it. To what extent can our food habits be considered part of European heritage? How does the history of cooking, drinking and eating in Europe illustrate the fertile and impactful contacts that have existed between different regions, nations and continents? Can local eating traditions survive in a context of increasing culinary uniformity? Join us to discuss this everyday-life topic with food history and anthropology specialists, on the occasion of the last month of the House of European History's first temporary exhibition "Interactions". After the debate, you will have the opportunity to visit the exhibition where culinary encounters and exchanges are presented in a lively and hands-on way, and to taste some finger food prepared by the chef of the museum's restaurant. Food and Drink in Communist Europe. International scientific conference (19&20 April 2018, Brussels). The event, organized by FOST with the support of the Free University of Brussels, VUB, KULeuven, FWO and FARO, gathered top researchers from the field. The program could be found here. Check the website for updates, as we intend to publish soon the abstracts from the conference. FOST researcher Dr. Nelleke Teughels will present a matinee session titled 'Mag het iets meer zijn?' at the MIAT (Gent) (in Dutch). Click here for more information. Call for Papers Amsterdam Symposium on the History of Food (15.01.2016-16.01.2016). Call for papers for the third edition of the Amsterdam Symposium on the History of Food. The title of next years edition is Fire, Knives and Fridges. The material culture of cooking tools and techniques. Applications should be sent by the deadline of 30 April 2015. Click here for more information. Call for Papers: Inter-disciplinary.Net's FOOD4: Constructing and Defining Food Practices (15.09.2015-17.09.2015). The Inter-disciplinary.Net - network invites papers and panel proposal for the FOOD4: Constructing and Defining Food Practices conference (Mansfield College, Oxford) which is part of the Making Sense of: project. Deadline for abstracts is the 1st of May, 2015. Click here for more information. Trusting the hand that feeds you. Understanding the historical evolution of trust in food (07.09.2015-09.09.2015). FOST research group will host the conference Trusting the hand that feeds you. Understanding the historical evolution of trust in food in Brussels from 7 to 9 September, 2015. Click here to visit the conference website. New book: Teughels, N., Scholliers, P. (eds.) (2015). A Taste of Progress: Food at International and World Exhibitions in the Nineteenth and Twentieth Centuries, Ashgate Publishing. New book edited by Nelleke Teughels and Peter Scholliers: A Taste of Progress: Food at International and World Exhibitions in the Nineteenth and Twentieth Centuries published by Ashgate. Click here for more information. Registration for the Amsterdam Symposium on the History of Food (16 and 17 January 2015). The topic of this year's edition is Food, Hunger and Conflict. Keynote speech by Josep L. Barona. Click here for more information and registration. FOST researcher An-Sofie Vanhouche organises the Master class 'Food in Prison' on the 16th of Octobre, 2014 at Faro, Brussels. Click here for more information or to apply. 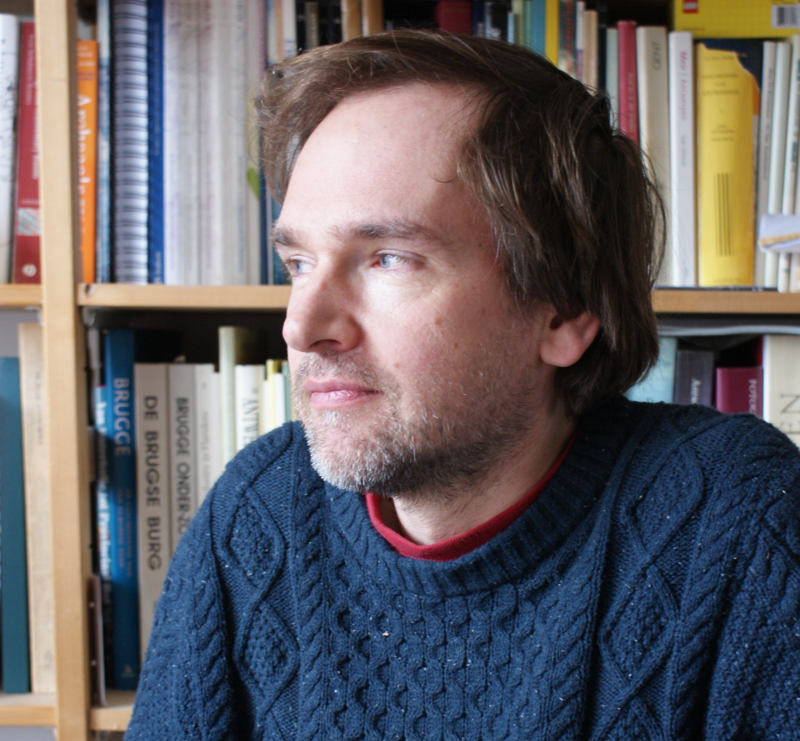 Filip Degreef will present a paper titled 'A Making Sense: New Food Technologies and Trust in Food (1960-1995)' at the 3rd Global Conference of inter-disciplinary.net at Mansfield College, Oxford (15.09.2014-17.09.2014). Click here for more information. Dr. Anneke Geyzen will present her PhD dissertation titled '‘Culinaire vererfgoeding in Vlaanderen tussen 1945 en 2000. Een historisch-gastrolinguïstische analyse?’ on the 18th of September in Leuven as a part of the ICAG seminars (in Dutch). Click here orhere for more information and registration. New Call for Papers for the 2015 Amsterdam Symposium on the History of Food. The central topic for this years edition will be Food, Hunger and Conflict. The Amsterdam Symposium is the result of a collaboration between the Special Collections, UvA, the Institute of Culture and History, UvA, and the research group on Social & Cultural Food Studies (FOST). Deadline for abstracts is the 15th of May 2014. Click here for more information. The next round of FOST presentation will be held on Thursday the 13th of March, 2014 (starting at 15.30). Presentations will be held by Filip Degreef (Food Quality, Safety, and Trust since 1950: Societal Controversy and Biotechnological Challenges) and Jon Verriet (Canned food, mediation and food pratices). Contact Filip Degreef for more information. On the 17th of January 2014 the Special Collections of the Universiteit van Amsterdam and FOST are organizing the first edition of The Amsterdam Symposium on the History of Food in the Low Countries. This year's topic is "Cooking up the Low Countries: Visual and Textual Representations of Culinary Culture in Belgium and the Netherlands (16th-21st century)". Registration is open until the 1st of December 2013. On the 12th of November 2013 Maureen Duru is defending her PhD thesis entitled 'Identities in diaspora. Food traditions and innovations of Nigerians in Belgium, 1970 to the present'. Click here for more information. 17.05.2013 - International Colloquium on Disgust: History, Language, Politics and Aesthetics of a Complex Emotion - Histoire, Langage, Politique et Esthétique d'une Emotion Plurielle. From the 22nd until the 24th of May the Centre Interdisciplinaire de Poétique Appliquée(CIPA) of the University of Liège will organise an international and interdisciplinary colloquium on Disgust. Click here for mor information. On the 26th and 27th of April 2013 the University of Birmingham, in collaboration with FOST, organizes the international conference 'Food and hospitals: an historical perspective' in Brussels. Click here for more information. On the 31st of May, 2013 FOST and FARO are hosting a masterclass with Loïc Bienassis titled "Thinking heritagization. The example of the culinary". Click here and here for more information. On Friday, November 9th, 2012 FOST and FARO welcome Dominique Michou, Belgian chef at L'Alban Chambon (Hotel Métropole) for a talk on the current gastronomic cuisine, his education and the influence it has had on him and his career. On Friday the 12th of October, 2012 Prof. Dr. Hervé This - in collaboration with FOST and FARO - is giving a Masterclass on molecular gastronomy entitled “Que mangerons-nous demain? Comment la discipline scientifique qu’est la gastronomie moléculaire conduit à des propositions de réponses.” Click here for more information. On February 9 and 10, 2012, FOST will be organizing a conference entitled 'A Taste of Home. Food, identity, place and memory in Europe from a historical perspective (19th-20th centuries)'. Please find the Call for Papers here. On December 16 and 17, 2011, FOST will be organizing the conference 'Labour, Labour Relations and Occupational Identities in Hotels, Restaurants and Cafes (18th-20th centuries)'. More information can be found here. From December 1st until December 3rd, the Netherlands Institute for Advanced Study in the Humanities and the Social Sciences (NIAS) organises a colloquium on "The Construction of Local Identities through Culture and Language in the Dutch Province of Limburg". Karen Arijs will present a paper titled "Public celebrations and (food) consumption as proxy for the study of identity in cross-border-region Limburg: a suitable approach?" Click here for more information. From 13 until 16 September 2011, the International Commission for Research into European Food History (ICREFH) organises its 12th colloquium. This year's theme focuses on 'The History of the European Food Industry in the nineteenth and the first half of the twentieth century'. FOST member Anneke Geyzen will present a paper titled 'The representation of food preservation types in Flemish women's magazines, 1945-1960'. Click here for Anneke's presentation. On Tuesday, September 13th, the Centre for Material Texts in Cambridge will be hosting a workshop entitled Eating Words: Text, Image, Food. FOST member Nathalie Parys will talk about 'Using cookbooks as historical sources: obstacles and challenges'. Click here for Nathalie's presentation. Click here for the workshop's programme. On Friday, September 9th (3pm) FOST member Nelleke Teughels' Ph.D. defense will take place. Her dissertation is entitled: 'Smaakvolle boodschappen: archeologisch onderzoek naar iconografie, materiële cultuur en identiteit in de Belgische kleinhandel, ca. 1870-1940'. On August 2nd, Sarah Daniels will talk at the IATUR Conference. Her lecture is entitled: 'More than just preparing a meal? Concerning the meanings of cooking'. At the conference 'Food and Drink: their Social, Political and Cultural Histories' in Preston (UK), Anneke Geyzen will talk about 'What's in a name? Recipes and geographical connotations in postwar Flanders'. On May 1st, the 'Day of Cultural Heritage' will take place. FOST member Peter Schollierswill talk about 'Bettelman en pain à la grecque: armeluiskost op rijke tafels'. For more information and the complete programme, click here. On April 8th, FOST member Karen Arijs will talk about the construction of identity in Belgian and Dutch Limburg (19th and 20th centuries). On 7 February 2011, dr. Alain Drouard and FOST will organize a masterclass titled'Histoires des cuisiniers et de la cuisine en France (XIXe - XXe siècles)'. Practical information: 3-6pm, room 5C402 (professors' room at the Faculty of Arts - VUB). Dr. Drouard is directeur de recherche CNRS, associated with the Centre Roland Mousnier (Paris) and chairman of ICREFH (International Commission for Research into European Food History). He has published several books amongst which Histoire des cuisiniers en France (XIXe - XXe siècle) (Paris: CNRS Editions, 2004, herdruk 2007), Les Français et la table: Alimentation, cuisine et gastronomie du Moyen Age à nos jours (Paris: Ellipses, 2005), and together with Jean-Pierre Williot, he has edited Histoire des innovations alimentaires, XIXe et XXe siècles (Paris: L’Harmattan, 2007). Dr. Drouard is one of the few historians in the world who has researched labour market, hierarchies, migrations, unions and strikes of personnel working in hotels, cafés and restaurants. The masterclass entails three parts: a lecture by A. Drouard (in French), a practical excercise (based on a text or photo) and a debate (in French or English). On 10 and 11 December 2010, FOST will organize its yearly colloquium. This year the theme is "Food: Convergence and Divergence in Europe since 1800 (Cuisine of Elites, Bourgeois, and Middle Classes)." On November 30, professor Paul Erdkamp will be giving a lecture about eating habits in Roman Antiquity. This year too, FOST will be participating in the Week of Taste in Flanders (November 11-November 21). On November 12, Patricks Keuken in Ninove will be the stage for several lectures about 'forgotten vergetables'. Lecturers are Anneke Geyzen, Olivier de Maret,Nelleke Teughels and Daniëlle De Vooght. More information can be found here. On November 16, Peter Scholliers will be taking about 'Belgian cuisine' in Aalst. More information can be found here. Registration is necessary. Please refer to the previously mentioned websites. On June 4th, the annual FOST Masterclass will take place. Master@Work is Allen Weiss. He will talk about 'Food, Memory, Heritage'. To subscribe, please visit the FARO-website. On April 22, 2010, FOST member Daniëlle De Vooght will defend her dissertation entitled 'Display at the Dining Table? Culinary Networks of Power at the Belgian Royal Court of the Nineteenth Century'. This research is a part of the FOST research programme on convergence and divergence in European food habits. As of today, the FOST website is also available in English!!! This website aims to provide information about social and cultural food studies, on both a national and international level. You can get to know the FOST members, learn about FOST research activities, read about publications and take a look at interesting food websites.